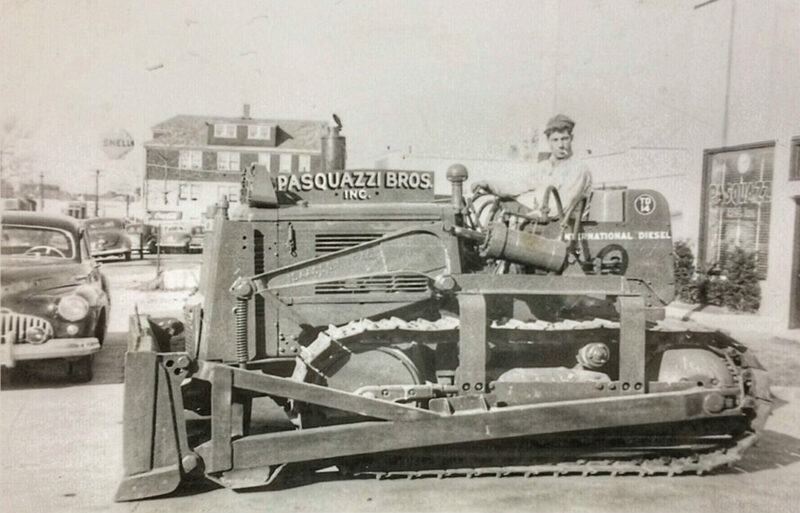 Gallery – Pasquazzi Bros., Inc. 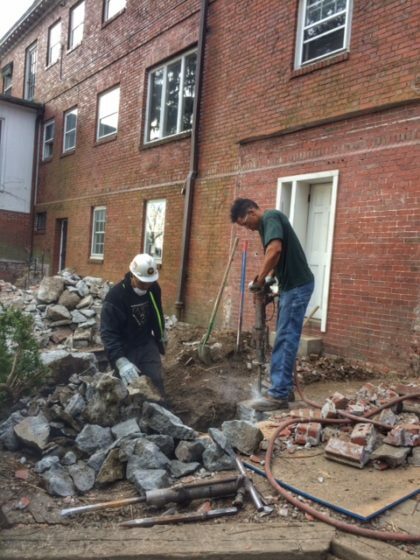 Concrete footing removal during the restoration of a 20th century colonial home on Providence's East Side. 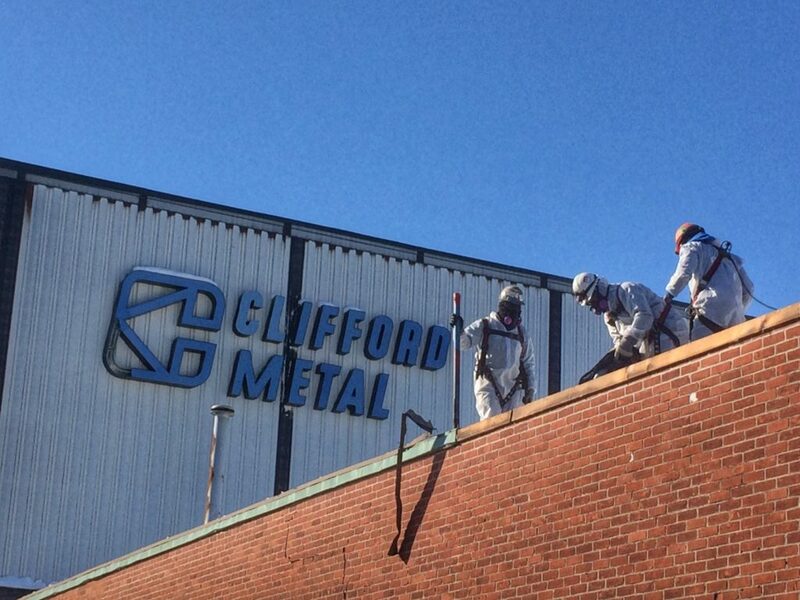 Asbestos roofing material abatement in Providence, RI. 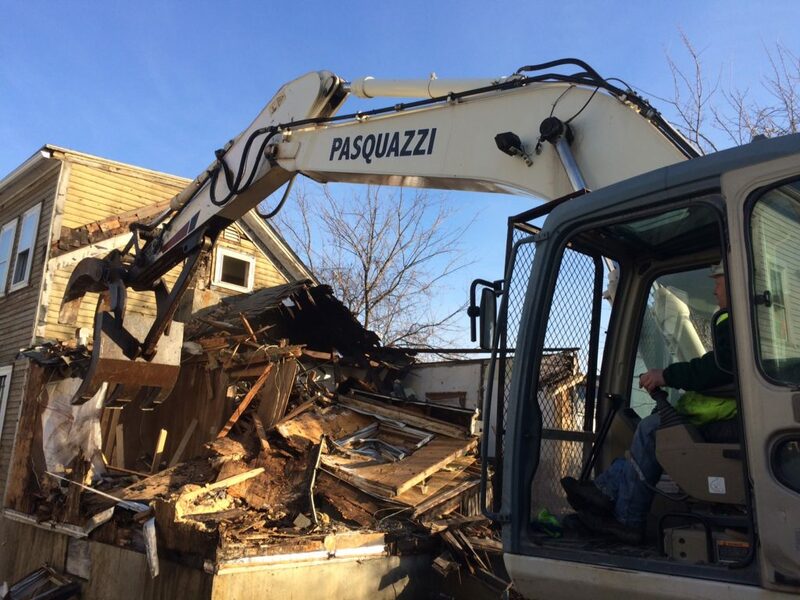 Residential home demolition in Pawtucket, RI. 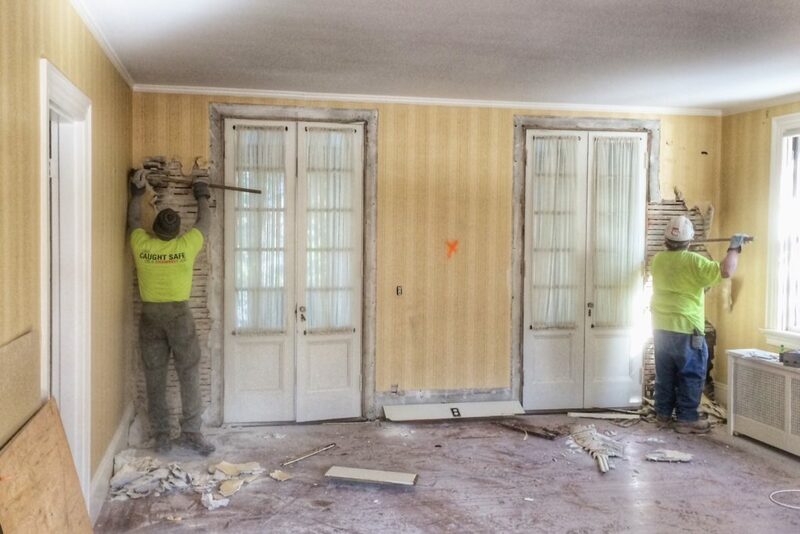 Plaster and lath removal during a residential gut out in Providence, RI. 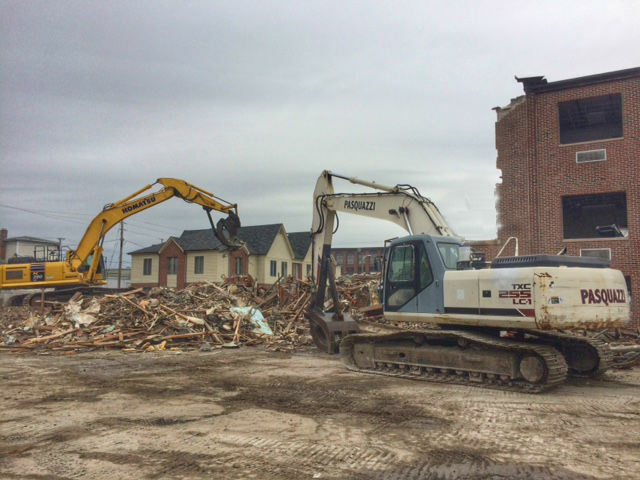 Demolition of Notre Dame Ambulatory Center - Central Falls, RI. 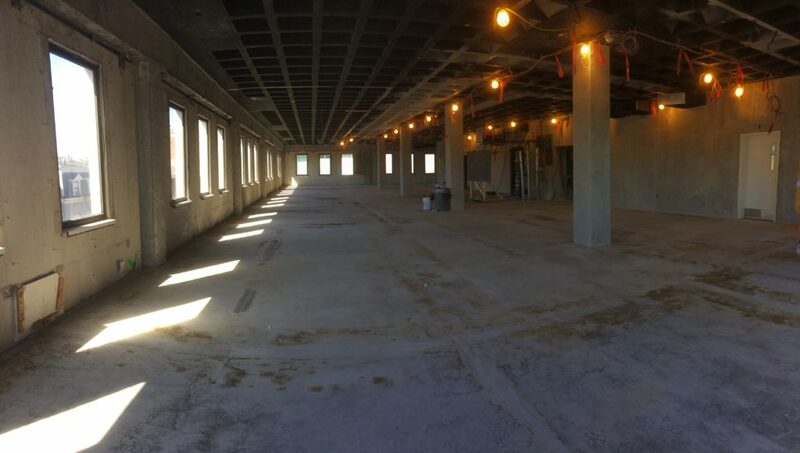 Concrete panel removal at Brown University. 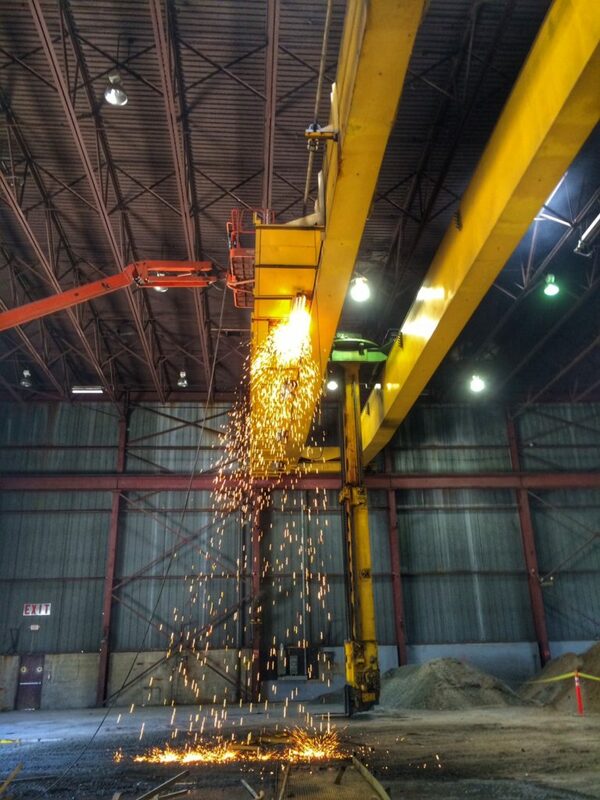 Dismantling a 10 ton gantry crane in Providence, RI. 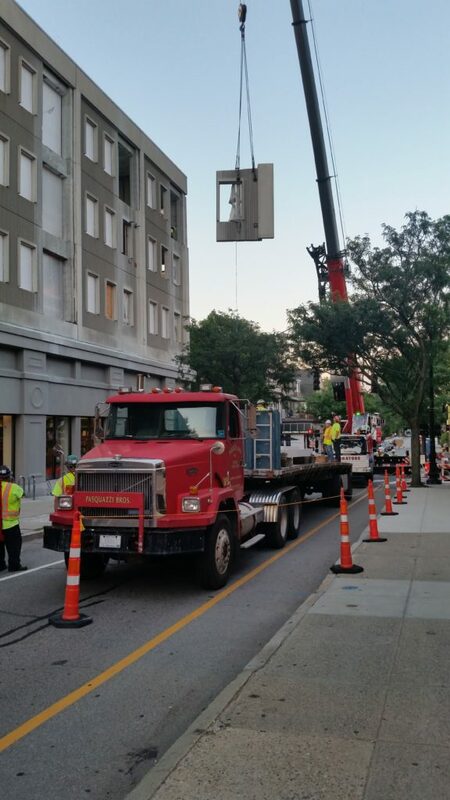 Removal of an old, bulky, inefficient boiler. 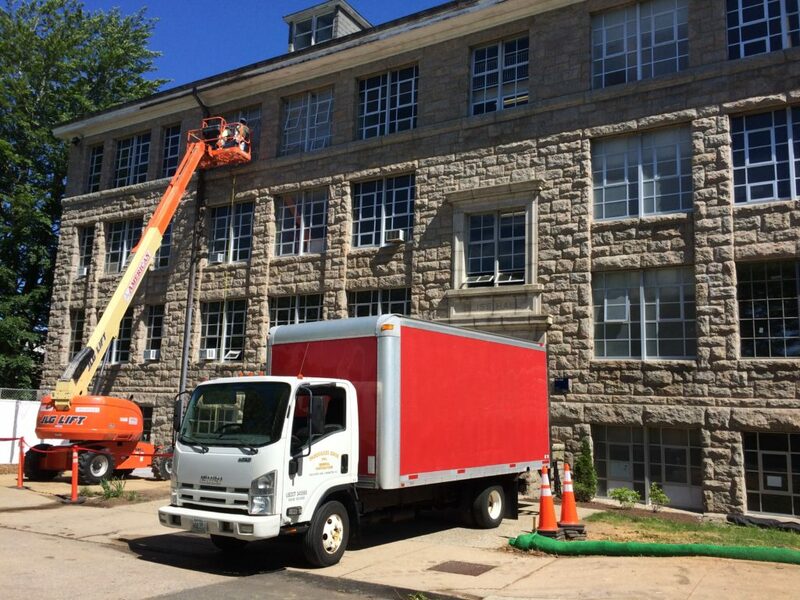 Completing renovations at University of Rhode Island - Bliss Hall. 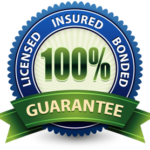 A residential gut out in Narragansett, RI. 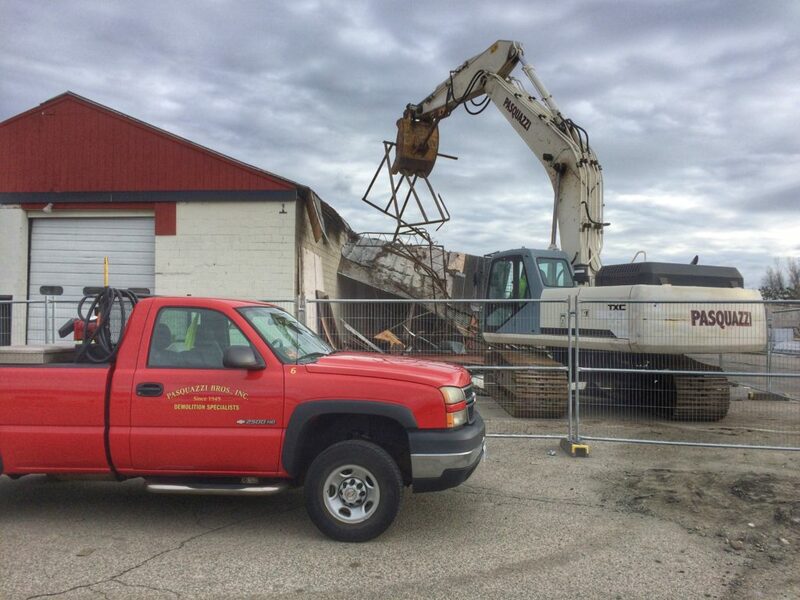 Demolition of a Riverhead Building Supply Warehouse in North Kingstown, RI. 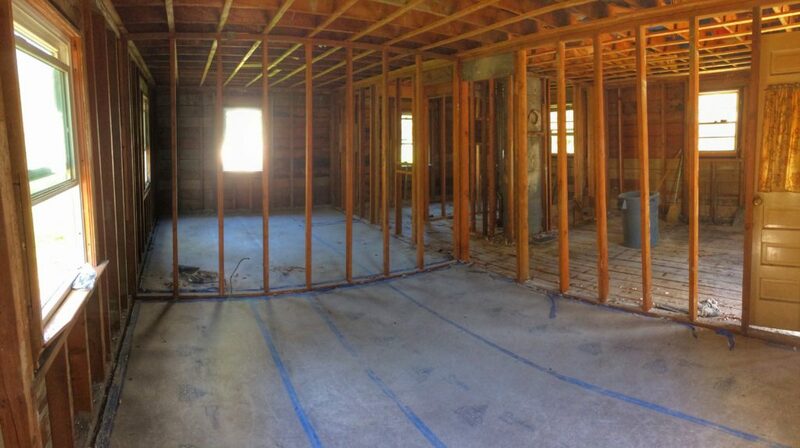 The finished product, after a full interior gut out at Brown University. 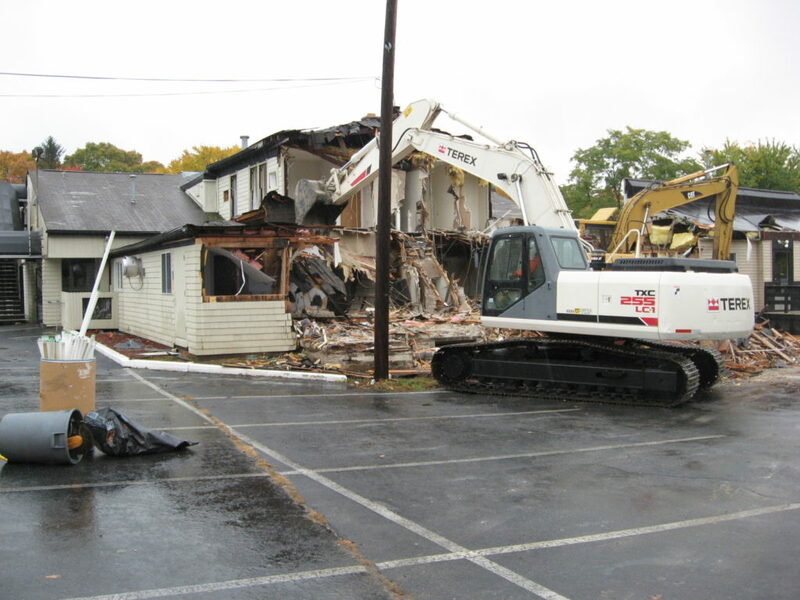 Demolition of Barry's Night Club in Warwick, RI. 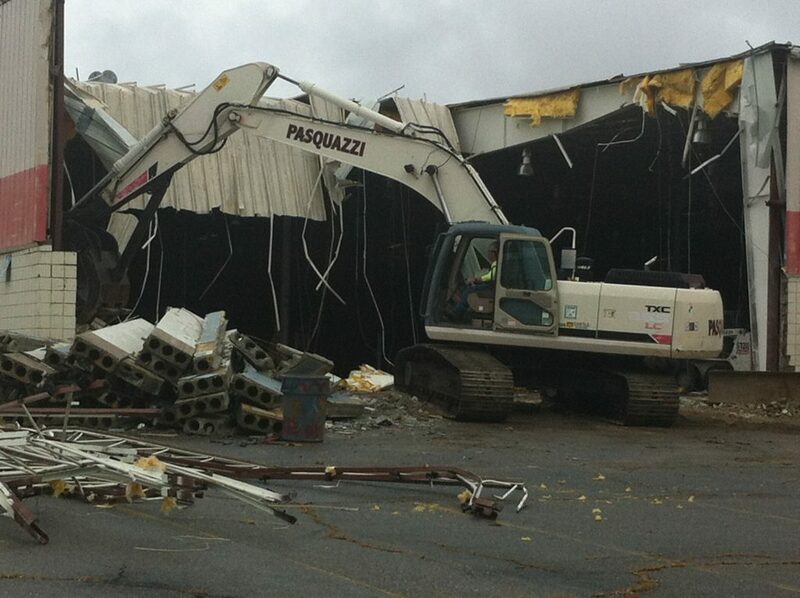 Demolition of a BJ's Wholesale Club in Johnston, RI. 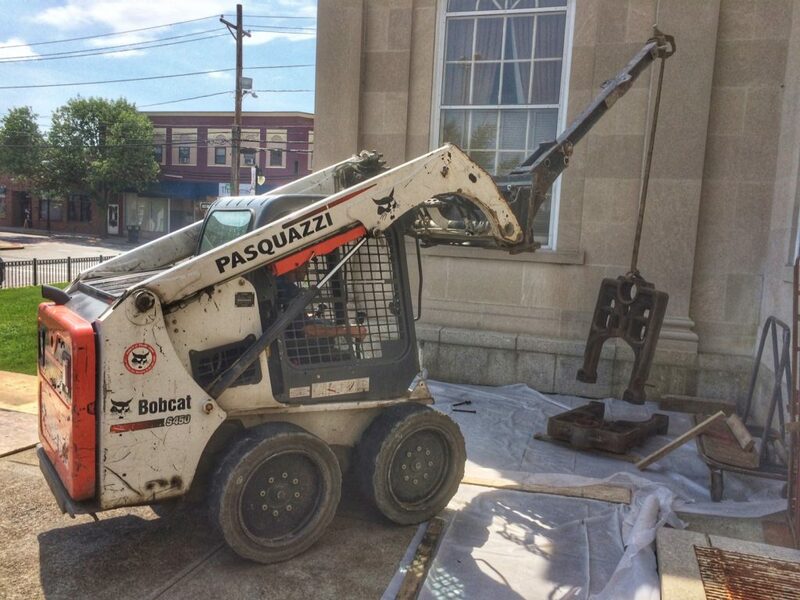 One of our first bulldozers.